Every year, about 80 billion pieces of clothing are purchased. Because of the high level of demand in product, manufacturing processes are inevitably accelerated. This has led to an industry dubbed as “fast fashion”. Fast fashion is when clothing is produced rapidly by mass market in response to the latest fashion trends. They’re generally also very inexpensive and accessible. 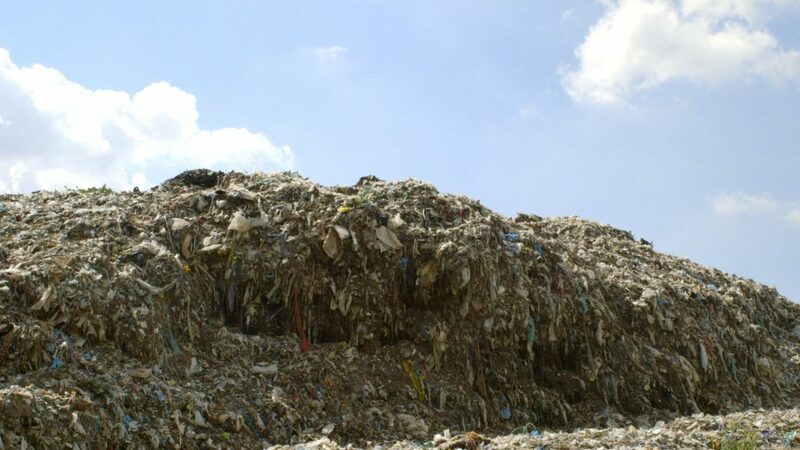 The devastating consequences of fast fashion – piles of shredded fabric waste. This means that while fast fashion gives us the opportunity to buy more clothes for less. The environment and those who work in the industry bear the large burdens listed above. On the bright side, more and more people are banding together under the conscious consumer movement. This has resulted in many fashion brands committing themselves to eco-friendly fashion. But what can you do to help the fight against fast fashion? Well, let me delve a bit into two awesome conscious brands below. Then finish this off with some tips on how to be a conscious consumer! When conscious fashion is mentioned, Patagonia is one of the biggest names that comes up. They’re an American brand that focuses on outdoor apparel! And they’re 100% dedicated to conscious consumerism and against fast fashion. For starters, they donate 1% of their total sales to environmental groups through the One Percent for the Planet organisation of which they are one of the original founders. Plus, they have a Worn Wear program! This is where they encourage customers to send in damaged apparel. They then work to repair it and send it right back! How neat is that? You save money and perfectly good clothes aren’t thrown out. Outland Denim is a favorite here at The Sponge, our founder, Luke and Impact Growth Alchemist, Jess both own a pair and swear by their quality. They’re a super environmentally conscious jeans brand that also champions an admirable cause. Their journey began when founder James Bartle encountered an anti-trafficking group. He then travelled to Asia, and discovered the horrors of human traffickers. And how young girls fell victim. After learning that a sustainable career path is vital for the future of rehabilitated victims. They created the “Denim Project” to give girls who were interested in sewing a career option. These girls are paid a fair wage and given a secure path for their future. Asides from this, Outland Denim commit themselves to sourcing the most ethically sound raw materials. This includes organic cotton for pocket linings to using recycled packaging. So how can you contribute to the fight against fast fashion? Buy less, choose well. – A lot of fast fashion clothes are cheaply made and break easily. By choosing from brands who put an effort in craftsmanship you can have something that lasts! Trade clothes. – Going to swap meets is an excellent way to give your clothes a new owner and purpose. All while picking up some pre-loved items for yourself! Shop from conscious and transparent brands. – Shop from brands who divulge where they source their materials! Many fast fashion brands do not provide much information other than the country it was made in. Speak out on socials! – Social media is a powerful tool. Send a message to a brand if you’re concerned and want more information. Or share an article to spread more awareness about a great brand. There are many things you can do to help!